If you are looking for a nutrition plan that helps you get fit, I recommend you keep reading so you know a little more about this form of feeding. It will increase you energy levels, improve your health and help you lose weight quickly without stopping eating healthy. The ketogenic diet focuses on the intake of healthy fats and high-protein foods. For example, blue fish (sardines, tuna), avocado, olive oil and coconut oil; it also limits carbohydrates to 2% or 5% of the total calories consumed. That is, cereals, sugar, some vegetables such as potatoes and carrots, as well as some fruits are limited in this nutrition system. 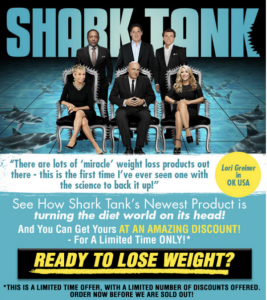 The idea is that you get your body into ketosis. Ketosis is a metabolic situation that occurs when the body consumes too few carbohydrates, which forces it to produce ketones. These act as glucose substitutes providing the necessary energy to survive. Uh-huh! But how does the diet work? When you eat too few carbohydrates you force the body to produce ketones. These are produced from the fat deposits under skin, which become the new fuel for muscles, brain and organs. Once the reserve of glucose is exhausted, the body begins to burn stored fat and becomes a fat-burning machine. In the ketogenic diet your body gets used to convert fat into its energy source; here react ketones, which reduce insulin and triglycerides. Thus, this diet also helps control diabetes and hypertension. This is something that depends on each person. In some cases, it has been reported that in one day they are already in ketosis; however, it usually takes 2 to 10 days, or maybe it will take a bit longer. It will always depend on the amount of carbohydrates consumed, and the metabolism and insulin resistance of each individual. Remember that you should consume less than 30 grams of carbohydrates per day, since the lower percentage of carbohydrates the quicker the process will be. You feel thirsty and your mouth dry. Increase the frequency of urination. Your breath has a fruity odor (like nail polish remover), maybe also your sweat. Your energy increases; although, at the beginning, you may feel tired, even sick. Urine test strip (it is the most economical). 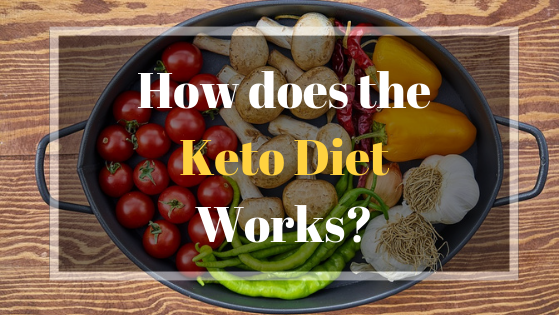 There are different types of ketogenic diets, or keto diets, depending on the amount of carbohydrates you can consume, the weight-loss goal you want to reach or the activity you do. Ketogenic diet. Generally, this is the most popular diet among the followers of the program. Too few carbohydrates are consumed (no more than 5%), and there is a high consumption of fat (75%) and protein (20%). Ketogenic diet for anaerobic athletes. This type allows you to eat carbohydrates before weight training or another anaerobic exercise. High-protein ketogenic diet. It is similar to the first one but with more protein consumption; that is, 5% of carbohydrates, 60% of fat and 35% of protein. As in any nutrition program, and despite of the many benefits provided by this diet, I advise you to consult a doctor beforehand, since sometimes problems arise because of lack of knowledge or lack of advice. Cheddar cheese, goat cheese, mozzarella. Extra virgin olive oil, coconut oil or avocado oil. Green vegetables: spinach, broccoli, lettuce, cabbage, cauliflower, zucchini. Condiments: salt, pepper, herbs and spices. Beer and other alcoholic drinks. Remember to eat something every 3 hours to avoid losing muscle mass, drink 8 to 10 glasses of water to avoid dehydration and side effects of the diet, and exercise at least 30 minutes every day. Here you will find an example of a ketogenic diet menu, which has foods that will boost your energy without consuming carbohydrates. Breakfast: 2 eggs with one slice of bacon, and a small glass of milk. Snack: Celery strips (You can add some cream of avocado). Breakfast: A glass of almond milk with 6 or 7 hazelnuts. Lunch: Turkey breast with artichoke. Snack: 6 cashew seeds and an orange. Dinner: Salmon and lettuce salad. Before starting a food program based on the ketogenic diet, it is important that you take into account some recommendations for optimal results and avoid possible complications, since this is a demanding and rigorous program. The first thing to keep in mind is that if you are a bread, pasta and sweets lover, this diet will be very hard for you; therefore, in order to not get frustrated on the road, you must be clear about your goals and focus on them. In order to avoid complications in health, go to the doctor to guide you with the ketogenic diet. Try to develop an optimal plan that includes those foods you can eat and you find pleasant, and especially those that make you feel full. Also, include a 30-minute routine of aerobic exercises in your daily program; you can walk, swim or ride a bike. Drink plenty of liquid, preferably water and chicken or meat broths. You must stay hydrated. If you take medications for diabetes or high blood pressure, you cannot follow this diet without medical supervision. If you are breastfeeding you should not follow this diet. The first days of the diet your body will feel sick and weak. Be patient and do not be discouraged. Monitoring your progress. Having a record of achievements always helps to stay motivated and focused. Do not cheat. If you consume more carbohydrates (more than 5%), you will no longer get the expected results. Be patient and perseverant. The benefits of the ketogenic diet are multiple, both in weight loss and health. At this point, I have to make a personal confession. 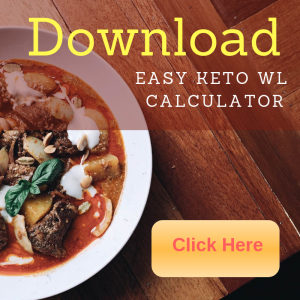 When I started this diet it took me a lot to get into ketosis, mainly because I unknowingly ate some things that prevent me to enter into keto. After a while, reading and researching, I realized many things that would have made my life easier. If at my beginning I had had a more systematic method and a clear plan, I would have had better and faster results.